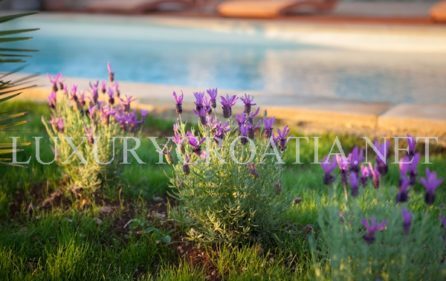 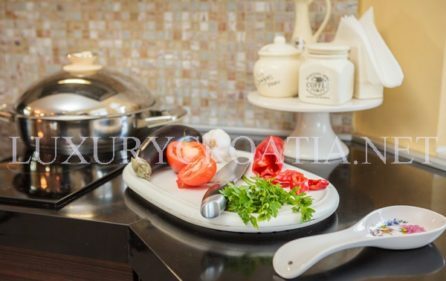 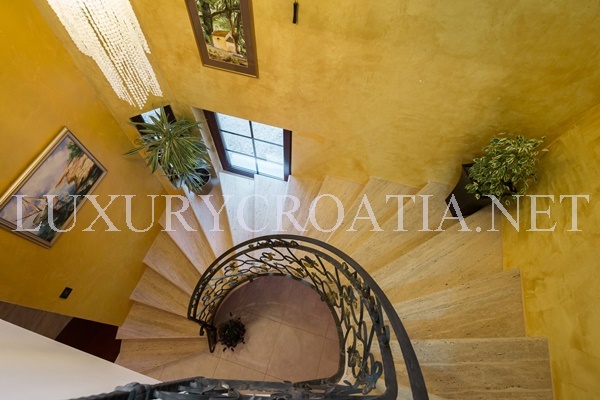 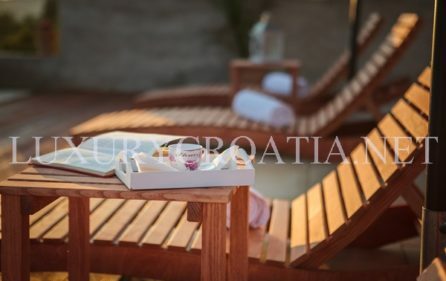 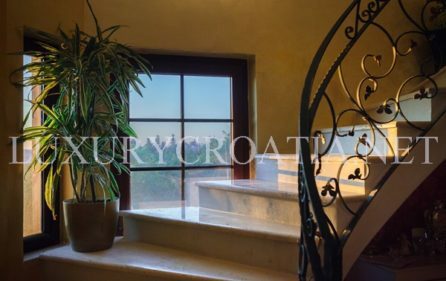 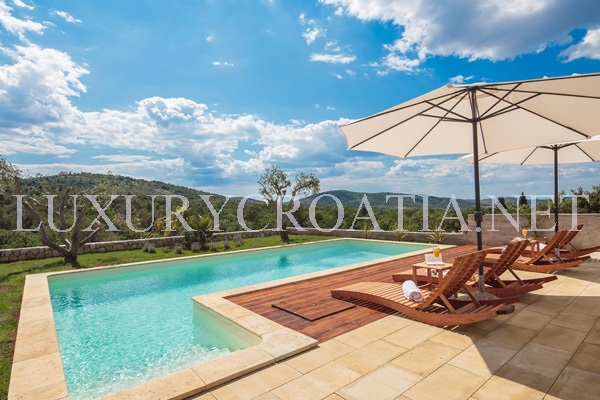 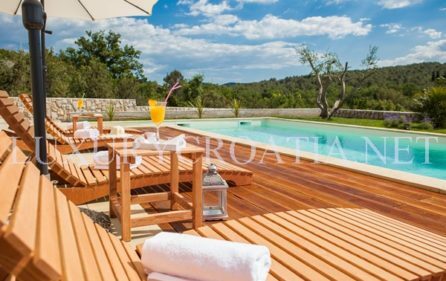 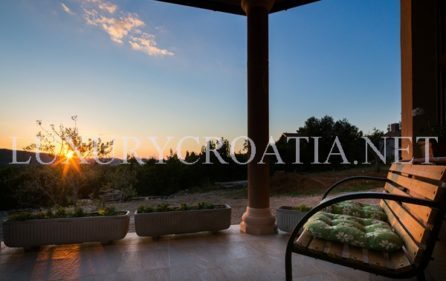 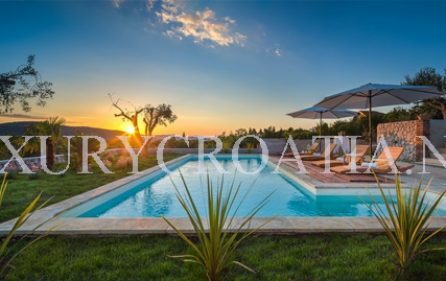 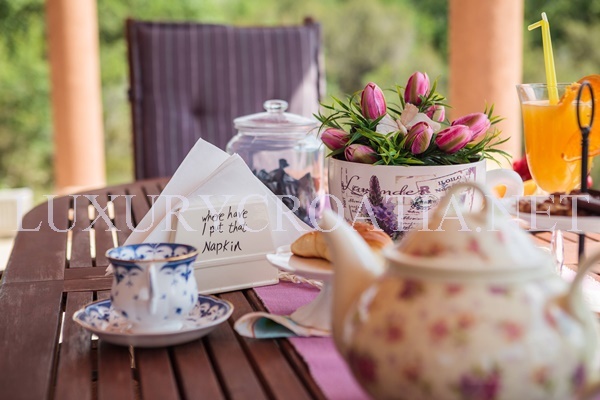 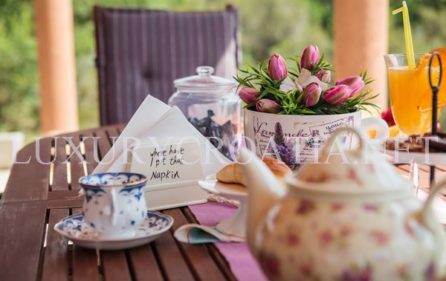 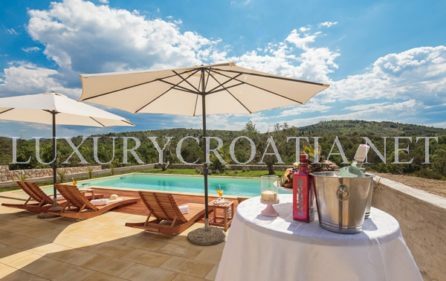 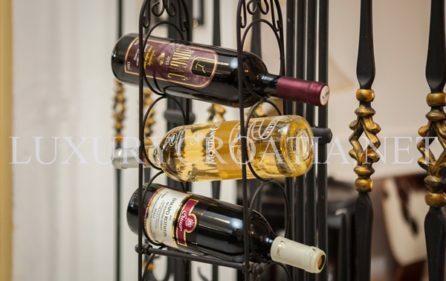 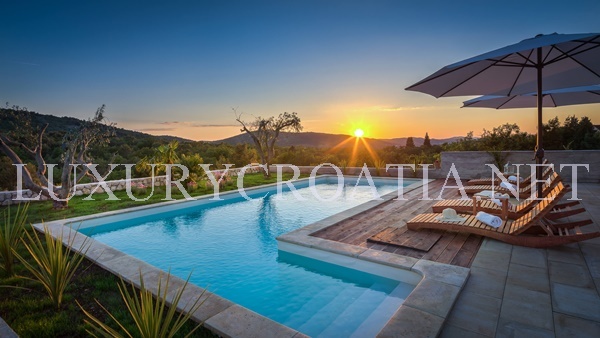 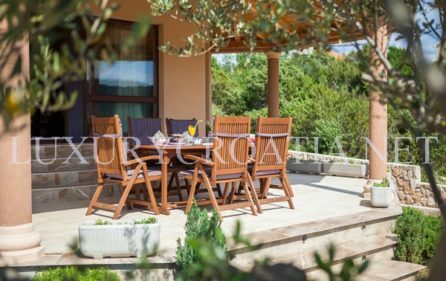 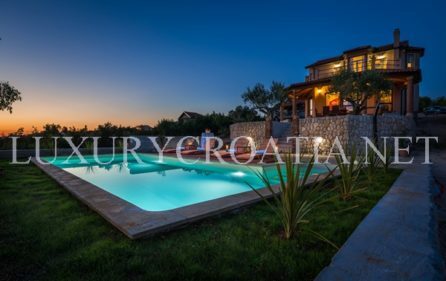 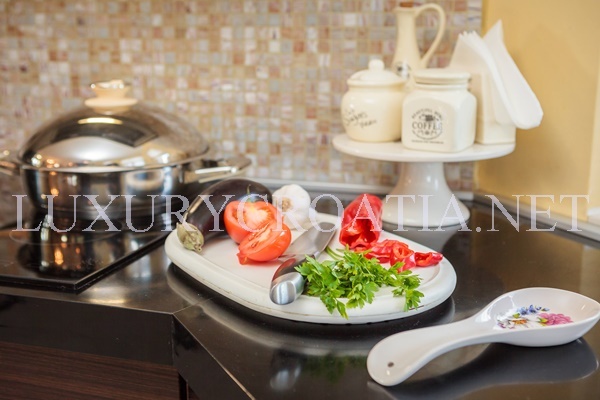 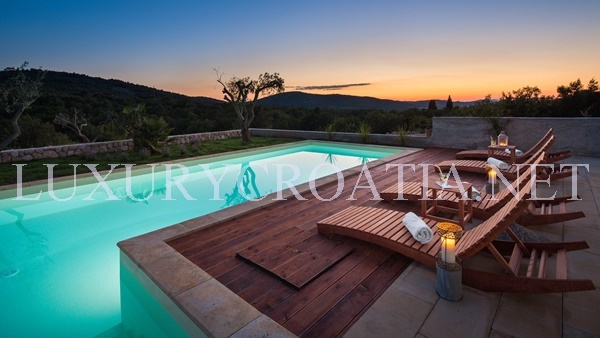 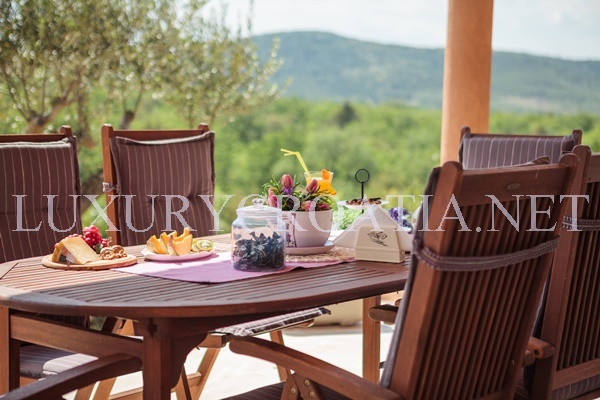 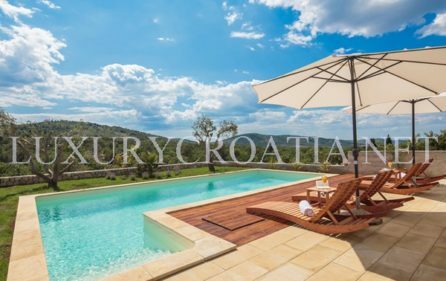 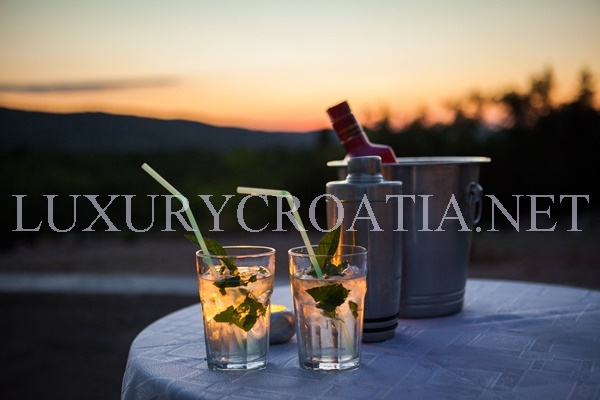 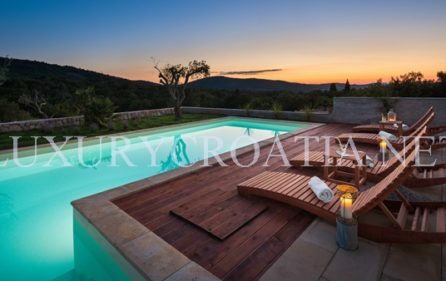 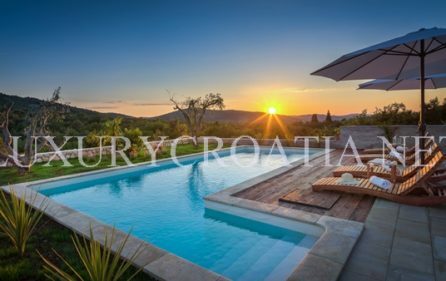 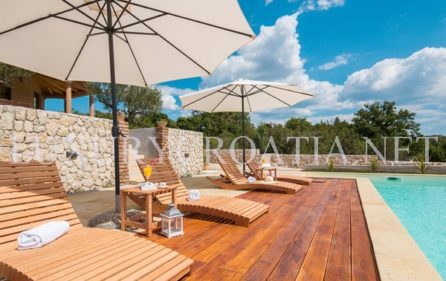 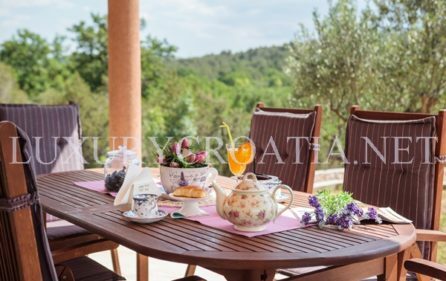 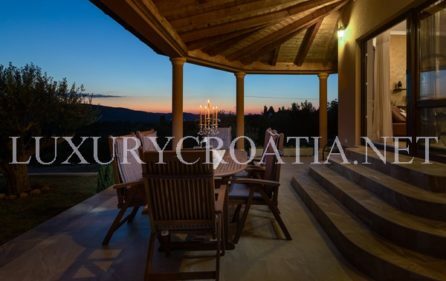 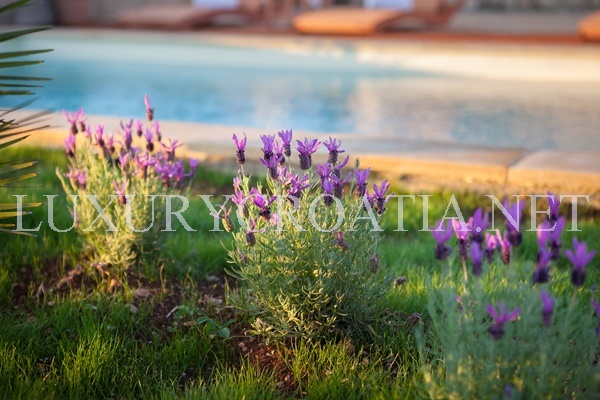 Luxury Pool Villa for rent in Greenery, Sibenik area is modern villa situated in a small settlement Bilice, in the very nearness of the National Park Krka. 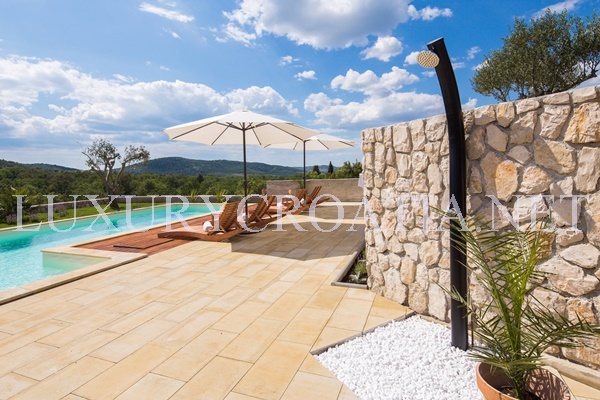 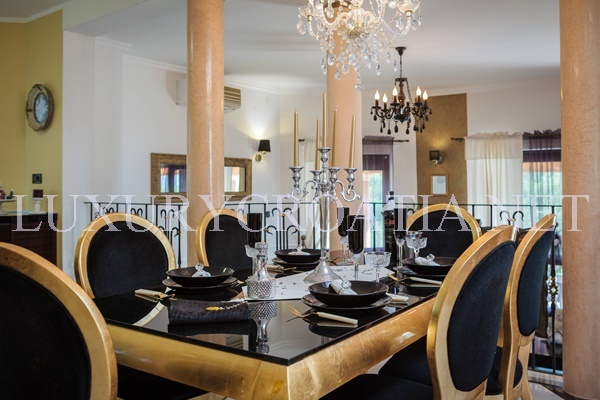 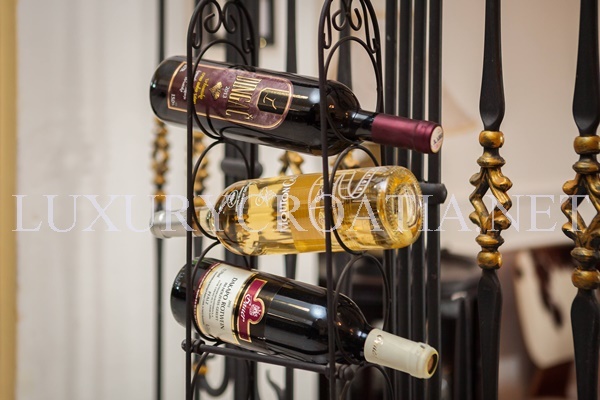 This great modern villa is perfect for the guests who are looking for peace and relaxation. 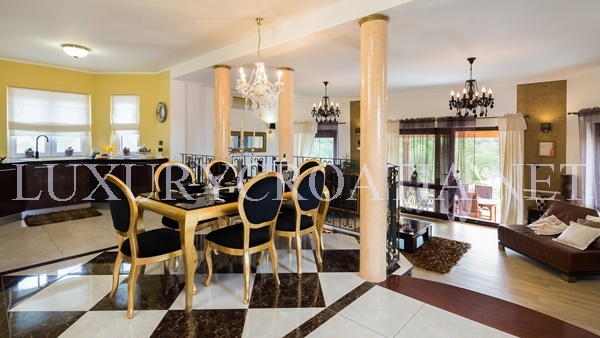 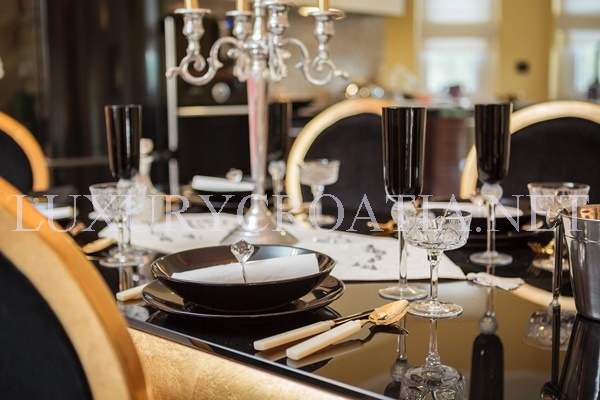 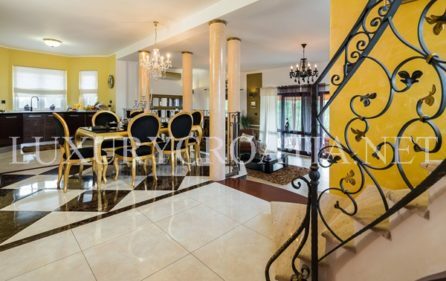 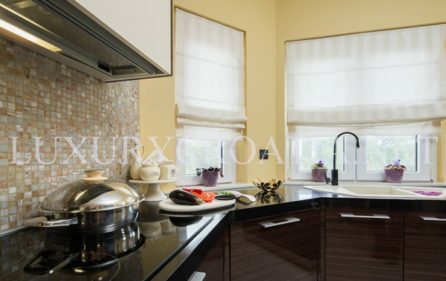 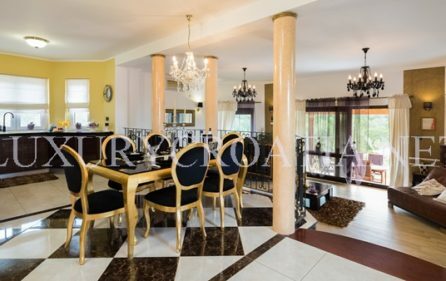 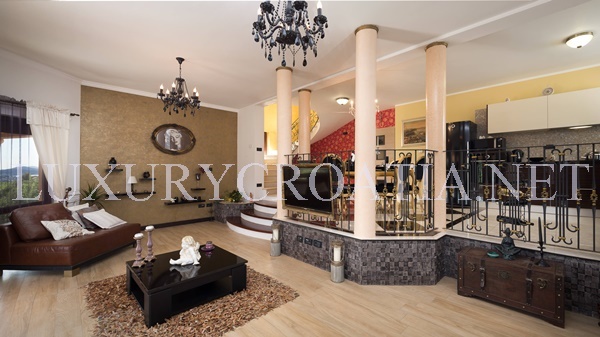 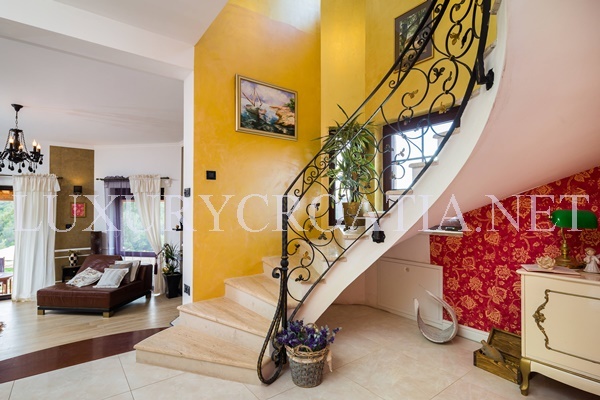 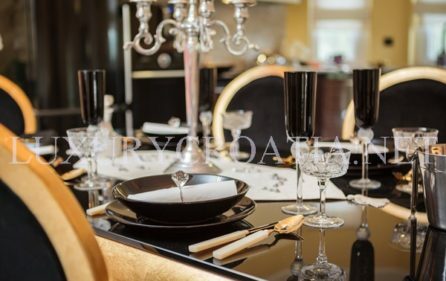 Modern villa is isolated from the city rush and noise, surrounded by the lush of greenery, in mediterranean forrest but also close to all the facilities. 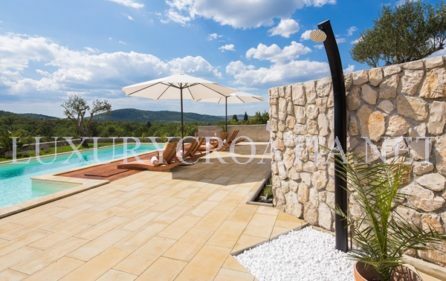 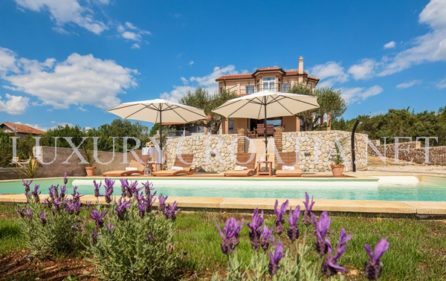 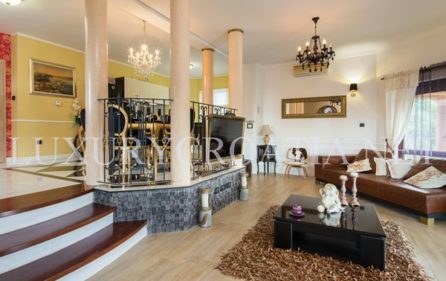 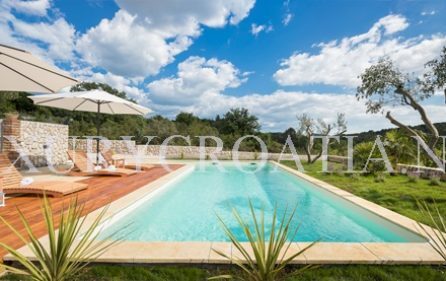 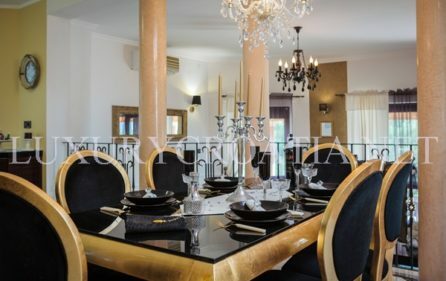 This modern villa features pool, garden, big terraces for enjoying great panoramic view of the sea and a beautiful untouched nature that surrounds the property. 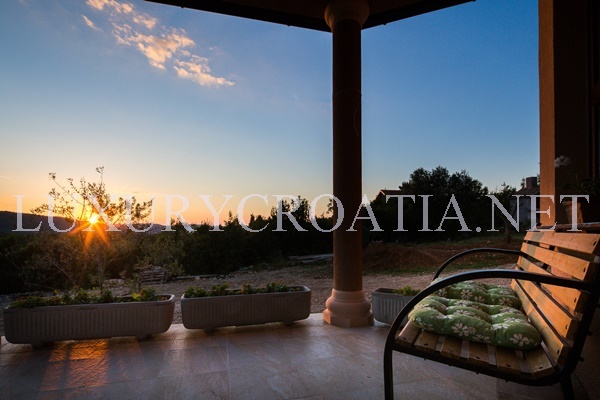 There is also a fireplace available on one of the terraces. 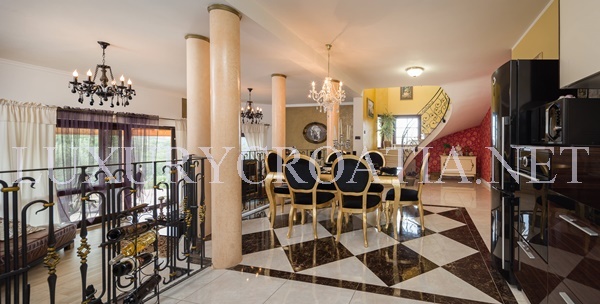 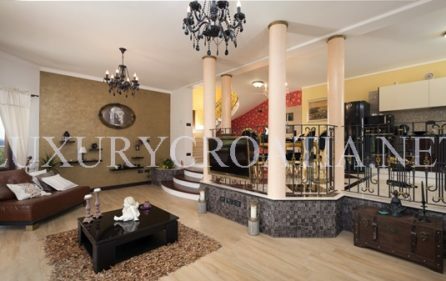 Living area of the villa has 216 m2 and can accommodate 7 guests. 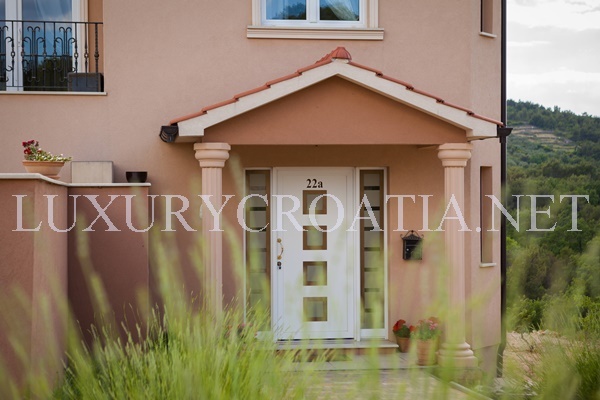 Infront of the villa there is a big parking place for max. 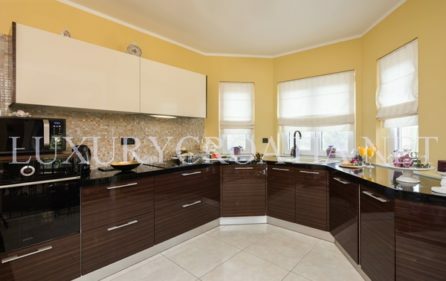 3 cars. 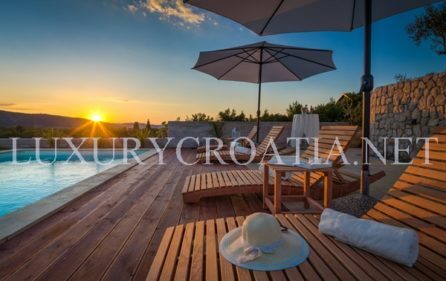 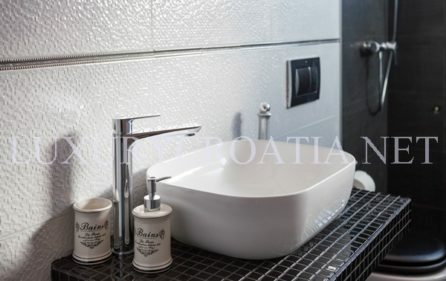 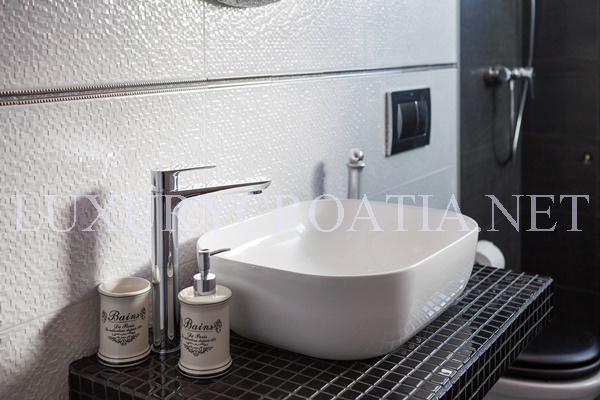 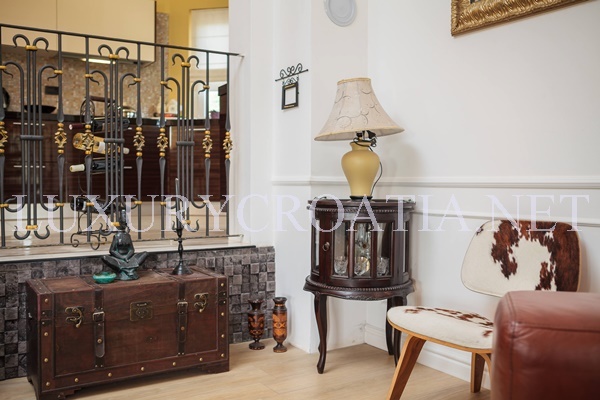 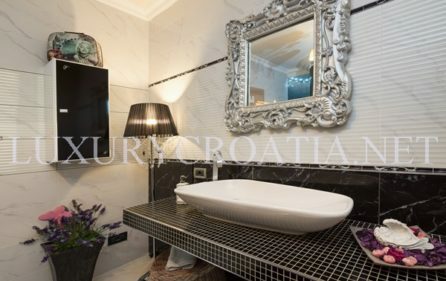 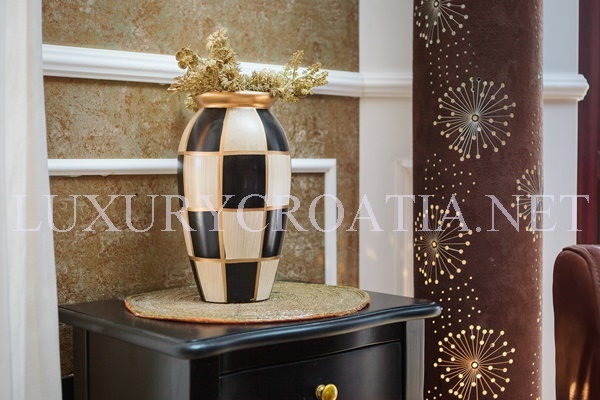 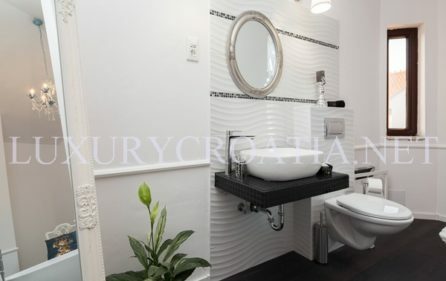 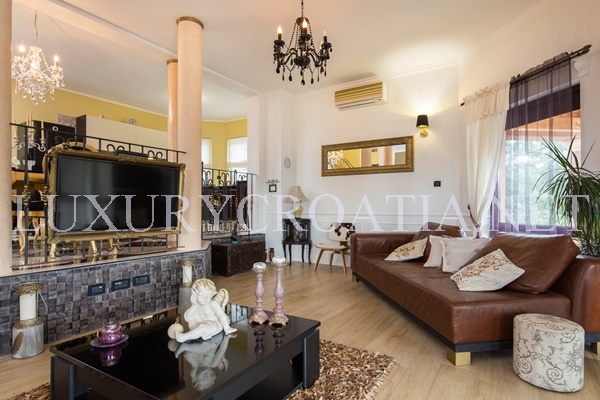 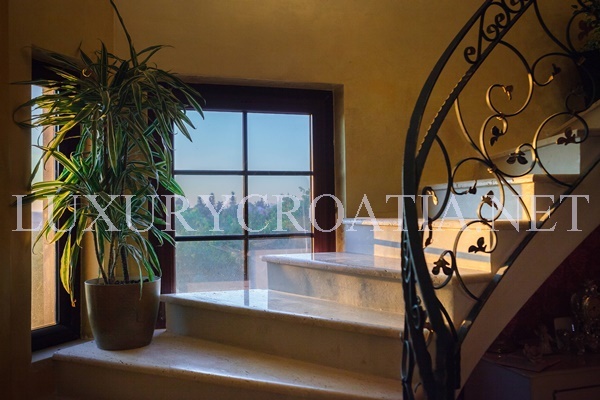 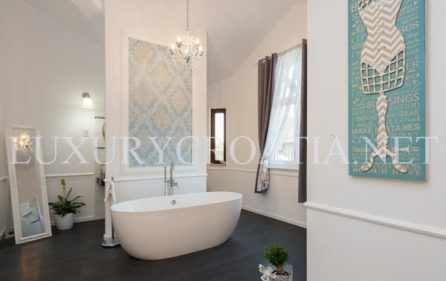 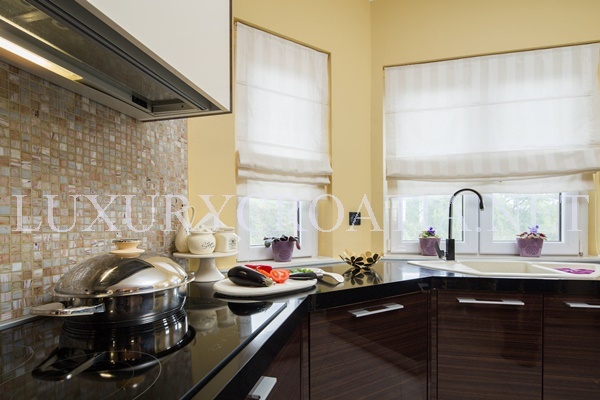 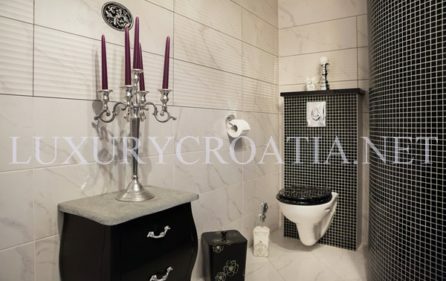 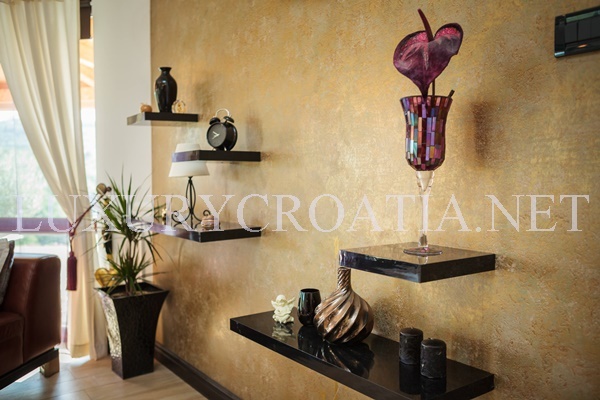 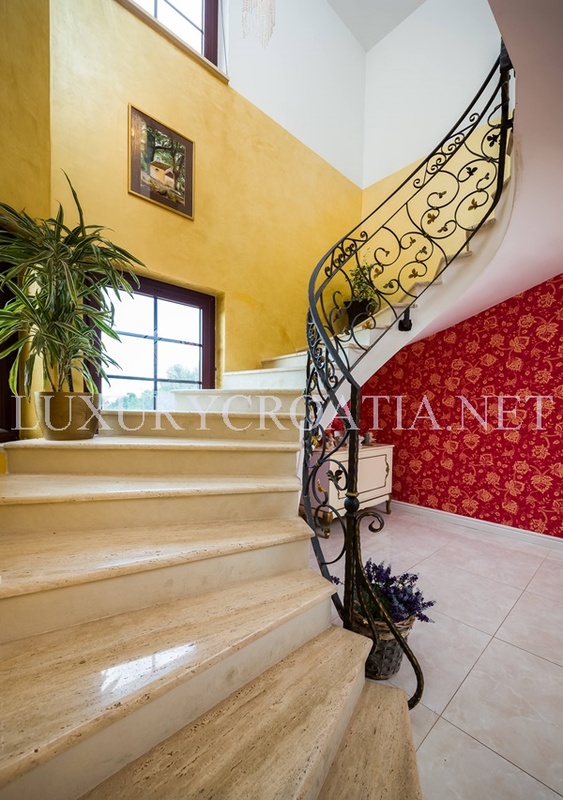 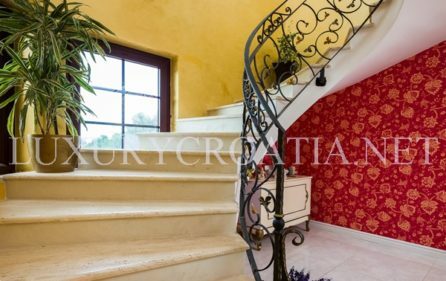 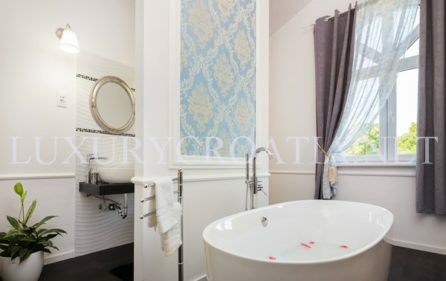 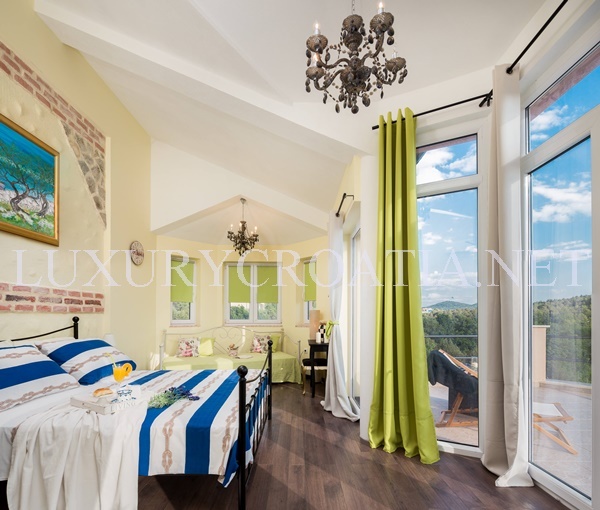 Luxury Pool Villa for rent in Greenery, Sibenik area is equipped with luxuirious stylish interior with a bit of Neo style. From the inside villa has floor heating, air-conditions and its whole covered with WiFi. 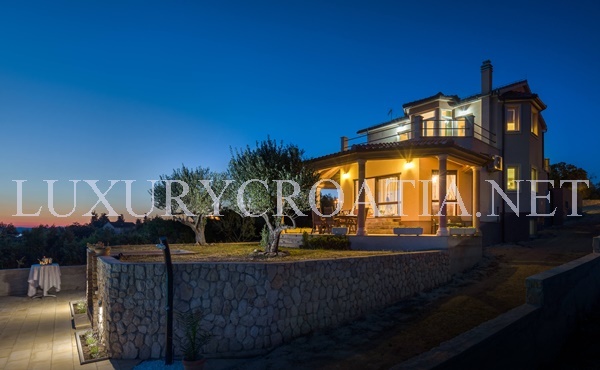 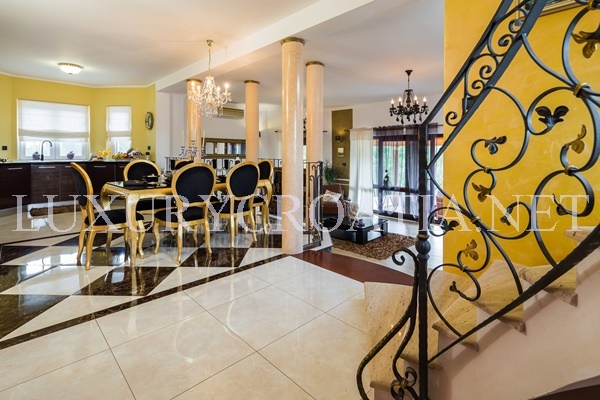 This great modern villa has three bedrooms and three bathrooms. 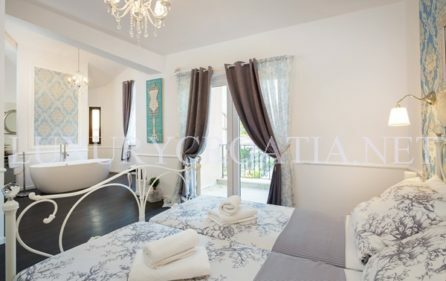 2 x Bedroom No. 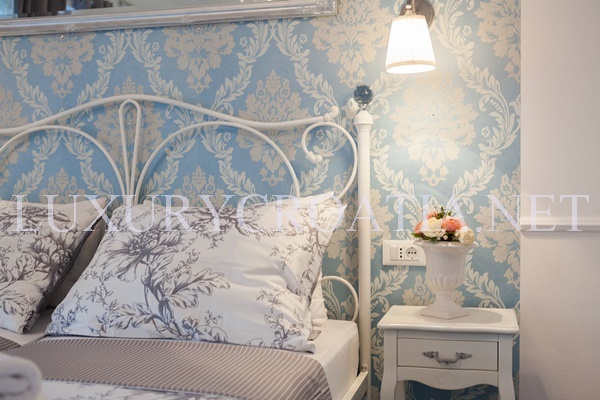 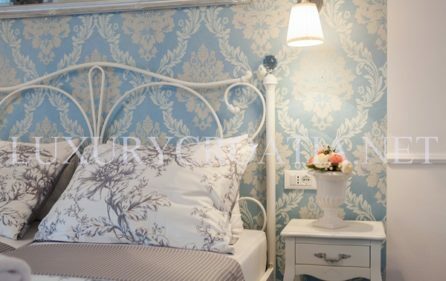 2 – consists of double bed, wardrobe and Flat screen Tv. 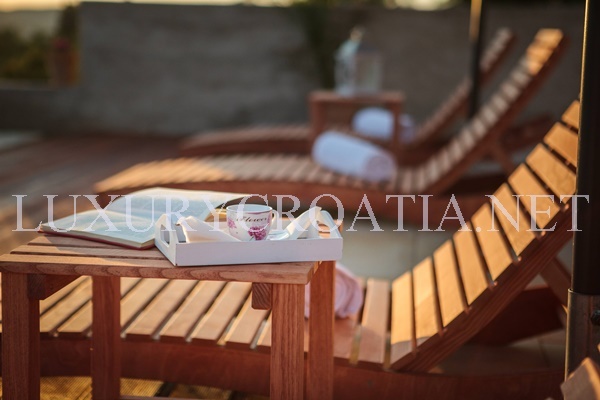 There are two terraces with size 34 m2 each, with garden furniture, sun chairs, panoramic seaview and forrest.